Why Globe Today Education website? Going to College/University can be the cause of worry and apprehension to a high school Students the uncertainty of what lies beyond the walls of colleges and universities is frightening to almost every one when the important decisive questions remain unanswered "What university to join? What to major in? Will I make any friends? Where to go? Whom to turn to for advice? Should we choose future financial stability over personal interest? ",So many what’s, where’s and why’s, yet very few answers especially the honest, convincing ones. Globe:University Guidance Program® sheds a neutral light on many such questions, to give, high school students, a clear perspective of what is ahead and to help them make the right choices. Globe:University Guidance Program® holds meetings, seminars, and group discussions with high school student or one-to-one meetings with students and parents if the need arises, to help university education seekers choose the best and most appropriate major/career. 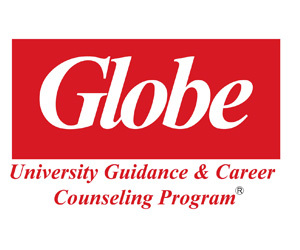 It is noted that Globe:University Guidance Program® free, unbiased, unprejudiced Educational Consultant Program runs by INDEED co, with a panel of specialized academic and educational counselors, therapists, and analysts, in addition to professional academic researchers and marketers all teamed up with the well-being of our children’s future at heart. An important academic component of orientation is to offer High school students, the criteria they need to make the transition from high school to college/University, by giving them a strong overview of academic expectations, students will be better prepared to meet the challenges of university life. Therefore, and in order to present an accurate and truthful image of an institution, both the academic and social components are included in our Orientation programs. School Students and their families. It is possible to tell them all they need to know about their college/University years ahead, Our Guidance and Orientation programs will offer them guidelines to facilitate their upcoming transition, and answer some of their insistent but very important questions(The What’s, Where’s, and Why’s). Guidance & Orientation is a much-needed program that, when planned properly, will be of great help to all concerned parties, from High School students to parents, schools and universities. Our Guidance & Orientation program is designed to answer questions before they are asked and to provide solutions to problems before they happen. With proper planning, Guidance & Orientation would definitely reduce anxieties as it puts new college and university students on the road to success. Dr. Fadwa Mardam-Bey Mansour:L’ISEB démarre sur les bases d’une expérience riche et solide.